« Talks Ongoing About a Restructured Deal for L.T. As of Monday evening, the Chargers and representatives for LaDainian Tomlinson had not come to terms on a contract renegotiation for the superstar running back. The two sides met Sunday at the combine, but the content of those talks has not been disclosed by either party. Calls to Smith and Tom Condon, Tomlinson’s agent, were not returned on Monday. 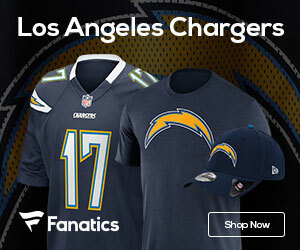 Tomlinson’s renegotiation seemed to be a relatively simple procedure, given that the Chargers expressed a desire to re-sign the future Hall of Famer and Tomlinson stated that he’d like to stay in San Diego. Tomlinson, scheduled to make roughly $6.7 million and count $8.8 million against the 2009 salary cap, was expected to take a lower base salary in an incentive-laden deal that would allow him to recoup most, if not all lost funds with performance.